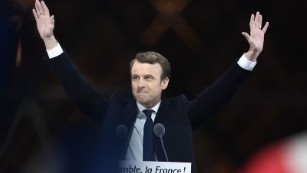 The French President Emmanuel Macron will break with the long-standing tradition of the President making a speech on Bastille Day to celebrate winning independence. He says his “complex thoughts” may prove too much for journalists. The truth is, his agenda is to surrender the independence of France and hand it to Brussels. He has no interest in celebrating Independence Day when he intends to end that independence. Just astonishing. We now have a president in France who is too intelligent to communicate with the scum beneath him for they are just stupid fools. Perhaps so – since they elected him.